Eagle-eyed PreCentral member martinspurr took a look at the document we leaked over the weekend and rather than staring longingly at the June 12th release date, he took a closer look at the apps shown on the TouchPad itself. Specifically, there's an app there called "eReader" with an icon shaped like a newspaper titled "Daily News" and sporting a big ol' RSS icon. While an app called "eReader" would have us assuming that it's for reading books, we know that Kindle is coming. 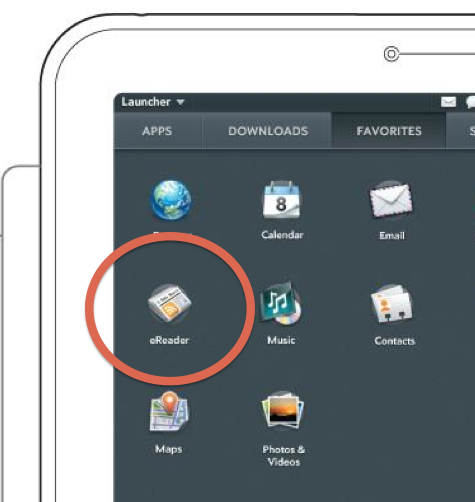 Add in the Newspaper shape and the RSS icon and the best guess has to be that HP will be rolling an integrated RSS reader into the TouchPad. PhoneArena grabbed a slighly larger version of the icon from Best Buy earlier this month as well, though in that case it's nestled up against a now-defunct DocsToGo icon. Source: PreCentral Forums; Thanks martinspurr!